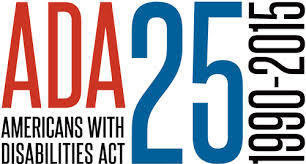 To honor the 25th Anniversary of the Americans with Disabilities Act (ADA), Minneapolis is hosting a celebration on Thursday, July 23 from noon – 3pm in the Minneapolis City Hall Rotunda. The event will feature speakers, recognition, performers and interactive programming accessible to all residents. “The ADA covers daily life activities that many take for granted — like employment, housing, public accommodations, education, transportation, communication, parks and recreation, health services, voting, and access to public services,” said Amanda Tempel, Vice Chair of the Minneapolis Advisory Committee on People with Disabilities. The City of Minneapolis has started a thorough Americans with Disabilities Act evaluation of its own programs and services to identify possible barriers to residents. The Minneapolis Park and Recreation Board is reviewing recommendations for its Americans with Disabilities Act evaluation process. Every bus in Metro Transit’s fleet has a lift or ramp to accommodate wheelchairs and other mobility devices; newer vehicles have low, flat entrances that make boarding easier for everyone. The Americans with Disabilities Act was signed into law on July 26, 1990 by President George H.W. Bush. The act was the first comprehensive civil rights law for people with disabilities. The ADA bans discrimination on the basis of disability in the areas of employment, public accommodation, public services, transportation and telecommunications. The Minneapolis Advisory Committee on People with Disabilities would like nominations from people in the disability community for businesses that have provided outstanding service for this community. Click here for criteria and instructions. Emailed or mailed nominations must be received by July 14. Outstanding businesses will be chosen from the nominations, notified ahead of time and recognized at the July 23 celebration. The City of Minneapolis requests essays from people with disabilities that explore the question: As a person with a disability, how has the Americans with Disabilities Act impacted your life? (The Americans with Disabilities Act prohibits discrimination against people with disabilities in employment, transportation, public accommodation, communications and governmental activities.) 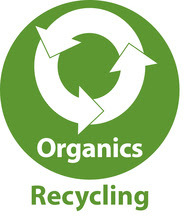 Click here for criteria and instructions. Full event details can be found online: http://www.ci.minneapolis.mn.us/ncr/services/ada25. The One Minneapolis Fund provides funding to community organizations for leadership development programs and community engagement activities. The name “One Minneapolis” is used for the fund as a challenge to create an inclusive community in which all people are valued, all communities are engaged, and leadership mirrors the great diversity of our city. The One Minneapolis Fund is facilitated by the Minneapolis Neighborhood and Community Engagement Commission (NCEC) and is funded by the General Fund of the City of Minneapolis budget. For project narratives and more information please visit the One Minneapolis Fund website: http://www.minneapolismn.gov/ncr/boards/ncec/WCMS1P-121027. A large priority of the Latino community in Minneapolis is the ongoing work at the State level to expand driver’s license eligibility to undocumented residents. This year, Mariano Espinoza, Latino Community Specialist, worked with community leaders to have this law passed during the 2015 legislative process. The bill (HF 97- SF 224), a part of the larger Transportation Omnibus Bill, was passed by the Senate, but not heard in the house. This will continue to be a priority for the Latino community in Minneapolis for the 2016 Legislative session. The Somali Independence Day Festival was held on Saturday, June 13 along Lake Street, between Blaisedell and Grand Avenues. 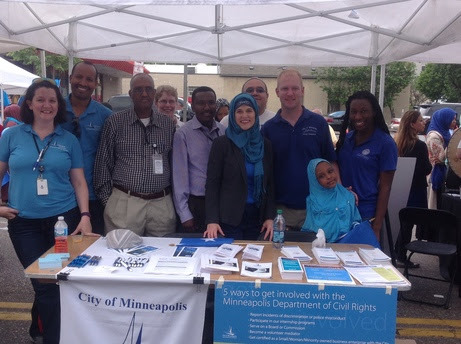 The festival is the largest gathering of the Somali Community in Minneapolis bringing together over 6,000 community members throughout the day. The Neighborhood and Community Relations (NCR) department, along with the City’s Community Planning and Economic Development (CPED), Human Resources, Civil Rights and Regulatory Services departments tabled together to share information about key City services to the community. In May 2015, the Minneapolis City Council passed a resolution renaming and restructuring the Senior Citizen Advisory Committee and 26 members to The Minneapolis Advisory Committee on Aging with 17 members. The renaming and restructuring reflects the current needs, issues and opportunities of the aging population in Minneapolis and statewide based on census data and national and local research and studies. The members of the newly restructured committee will provide the oversight, monitoring and evaluation, with the assistance from the NCR department and other stakeholders, of the Minneapolis for a Lifetime Strategy. 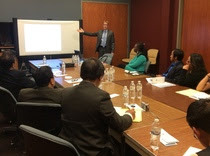 As an outcome of targeted outreach from the NCR department and the city’s Election’s department, elders and leaders of the Hmong Community met with the Civil Rights department to establish a working relationship in providing information and access to filing discriminatory complaint. The Hmong community also wanted to determine ways that they can work together to have information available in the community to file complaints at Hmong American Mutual Assistance Association, and to ensure better access to the department. This is a great example of the ways the NCR department works to build trust within Minneapolis communities. On June 30, approximately 20 people – mostly neighborhood board treasurers and staffers – attended NCR’s final spring learning lab. Stephanie Jacobs of the Nonprofits Assistance Fund, CPA Mike Wilson, and the Finance Department’s Bob Cooper presented the macro and the micro of financial management. The lab involved case studies and answers to dozens of questions from attendees. Plans are in the works to repeat this learning lab soon. Through the Community Participation Program, Minneapolis neighborhood organizations reach out to residents and other stakeholders to identify and act on neighborhood priorities, influence City decisions and increase involvement. Some of this work – such as creating guidelines for housing loan programs or reviewing commercial development proposals – can be quite detailed, meeting-intensive and time-consuming, but committed volunteers want to ensure the community has an active voice in shaping the neighborhood’s built environment. No Pie Charts! Only Pies! Meeting and pie potluck – The Longfellow Community Council makes sure that their annual meeting is anything but boring. Hotdish Revolution – Sponsored by the Holland Neighborhood Improvement Association, this community-wide potluck and friendly competition brings people together around a common interest – food! 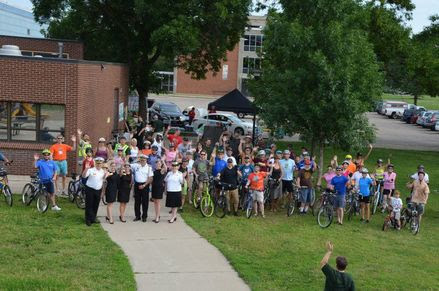 Tour de Camden – This family-friendly associated Aquatennial event sponsored by the Shingle Creek Neighborhood Association takes bicyclists though the Camden community and treats riders to educational pit stops. Cinema & Civics – The Stevens Square Community Organization engages attendees and with speakers, followed by music and a movie. Whittier Alliance’s May Day Soiree offers a touch of elegance while helping raise funds for neighborhood sponsored efforts. The Como Cookout is hosted by the Southeast Como Improvement Association welcomes students back to neighborhood each fall with a barbeque and resource fair. Co-sponsored by the Nokomis East Neighborhood Association and the Minneapolis Park and Recreation Board, the Minneapolis Monarch Festivalprovides hands-on learning and highlights the Minnesota – Mexico connection that the Monarch butterfly creates along its migration path. Wedge Weekend, sponsored by the Lowry Hill East Neighborhood Association offers garage sales, an ice cream social and more. Kingfield Neighborhood Association’s Porch Fest promotes neighborhood artists and provides an evening for strolling the block and listening to music performed from front porches. The Southwest Wine Tasting fundraiser brings together area business and residents to benefit Uptown area neighborhoods. In addition to those with snappy titles, there are dozens of neighborhood organization-sponsored garage sales, ice cream socials, and gatherings all designed to bring residents together. The events display the creativity and character of the neighborhood, and help us remember why we appreciate our neighbors, our neighborhoods, and our city. On Thursday, June 18th three new commission members were elected to serve on the Neighborhood and Community Engagement Commission (NCEC). Neighborhoods in district one, comprised of Northside neighborhoods elected David Boyd of the Lind-Bohanon Neighborhood Association, district five neighborhoods of the western downtown neighborhoods elected Nicholas Cichowicz of the Bryn – Mawr Neighborhood Association and the Downtown Minneapolis Neighborhood Association and district seven, comprised of the central southern neighborhoods elected Antoine Martinneau of the Central Area Neighborhood Development Organization. There was no candidate for NCEC district 3. Four additional NCEC members will be appointed to serve on the commission through the City’s appointment process. The City Council will make their final vote at the Friday, July 10th full City Council Meeting. Learn more about the work of the NCEC here: http://www.ci.minneapolis.mn.us/ncr/boards/ncec/index.htm. 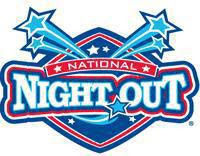 National Night Out is August 4th: Is your event registered? As with many past National Night Outs, Minneapolis was ranked #1 among all U.S. cities over 250,000 population in 2013. Over 1,480 events were registered in 2014. The deadline to register your event for free is July 21; after that there is a $100 fee. For more information please visit: http://www.ci.minneapolis.mn.us/nno/index.htm. Minneapolis has changed a lot since the 1930s, and now you can see those changes for yourself. As part of a collaborative effort with the City of Minneapolis and the Minnesota Historical Society, the University of Minnesota Libraries has digitized more than 4,500 historical aerial photos of Minneapolis. All of the large-scale, detailed aerial photos, dating back to 1938, are free and available to the public atwww.lib.umn.edu/apps/mhapo/index.html#mpls. The Minneapolis photos were added to the library’s existing Minnesota Historical Aerial Photographs Online collection, which includes more than 121,000 aerial photographs from around the state that date back to 1923. Visit the Community Calendar for full event details. Minneapolis Connects is published by the City of Minneapolis Neighborhood and Community Relations Department. If you have questions, please contact ncr@minneapolismn.gov.